<Babystep not working> Firmware Repetier 0.92.9, babystep works on 128x64 controller, but not works on Pi 3 (Z no move when touch). <Language Chinese abnormal> When change language to Chinese, all words on screen change to block. 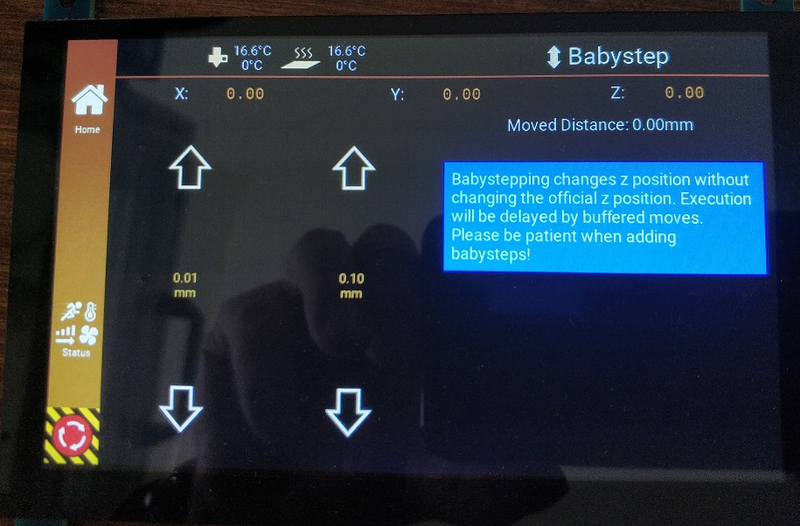 Babystep will send M280 Zx to firmware. But there will be a delay of quite some moves until it reacts. 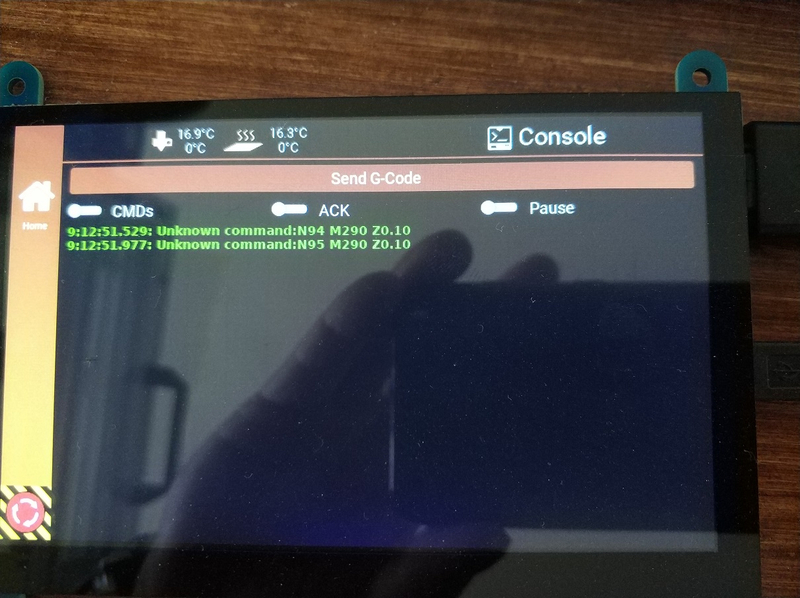 Of cours eit requires a firmware supporting M280 as well. and reboot linux and oyu should have your chinese symbols. I have checked again but found M290 was sent in fact, and of curse Babystep is still not working no matter any delays...As you mentioned Babystep would send M280 to firmware. Could you plz help, thanks! You need to update firmware to a version supporting that command. Older firmwares might not have that command. If they do not have the command, server just can't control it. Recent Marlin, Repetier-Firmware and RepRap Firmware are known to support the command and maybe other firmwares too.